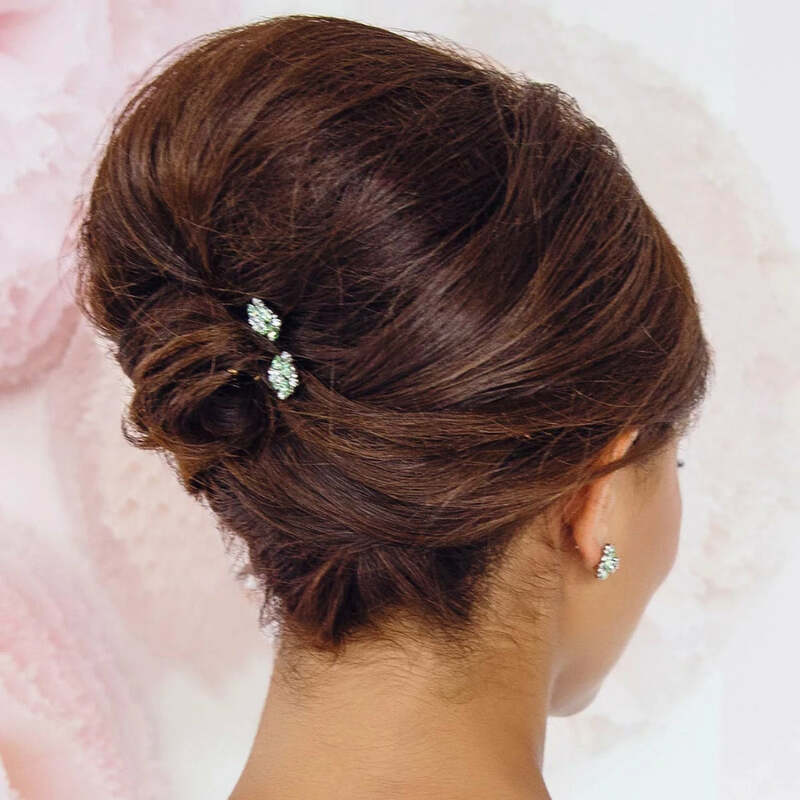 The pretty pastel green sparkle of Peppermint Dream Hair Pins will adorn your updo with retro pizzazz. Floral highlights for a bridal updo. Pretty and fresh with feminine sparkle, our Peppermint Dream Hair Pins will adorn your tresses with retro charm. 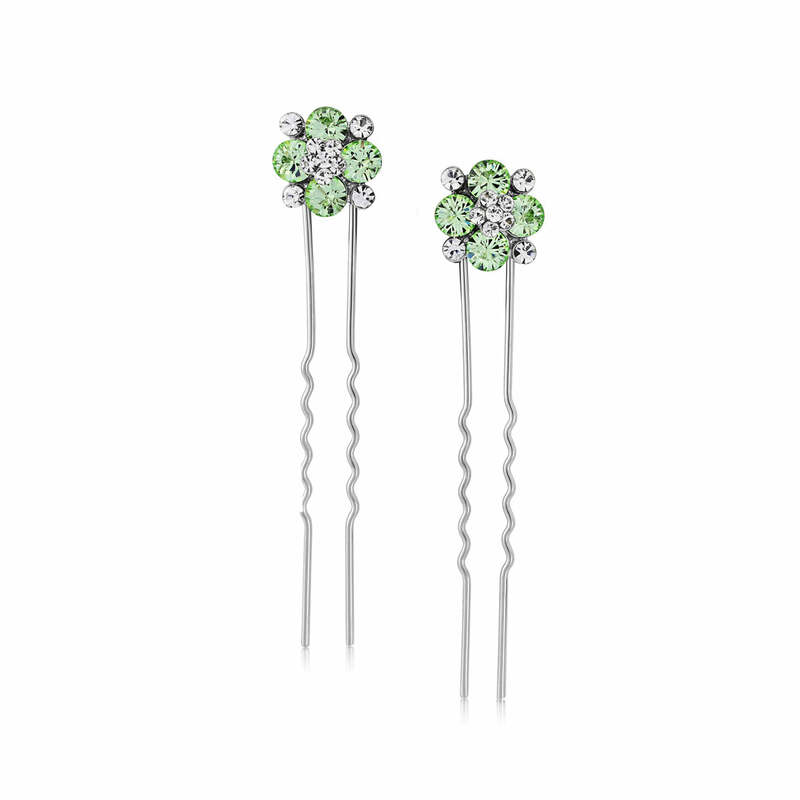 Sold as a pair, these fabulous pins feature a petite flower centre of clear Austrian crystals which come alive against the silver tone setting and the backdrop of stunning mint green crystals. The perfect accessories for a chic up-do from a French pleat or chignon to a Rockabilly ponytail this beautiful pair of pins will enhance every shade of hair with radiance. With more than a hint of 1950s retro style, our collection of Peppermint Dream jewellery and hair pieces will add Rock ‘n’ Roll charm to a vintage wedding theme. Dress your maids in full skirted dresses with ribbon tied posies and our Peppermint Dream sparkle will bring an elegant dash of glitz to your special day style.